As research continues to shed new light on how children learn best, Kindermusik evolves to incorporate those latest insights to meet the needs of today’s students. Kindermusik encourages and models effective teacher-child interactions, supporting each pillar of the CLASS Assessment. For joyful and positive experiences supporting the emotional connection between and among children and staff. For routines and rituals supporting positive behavior environments including tricky transitions. 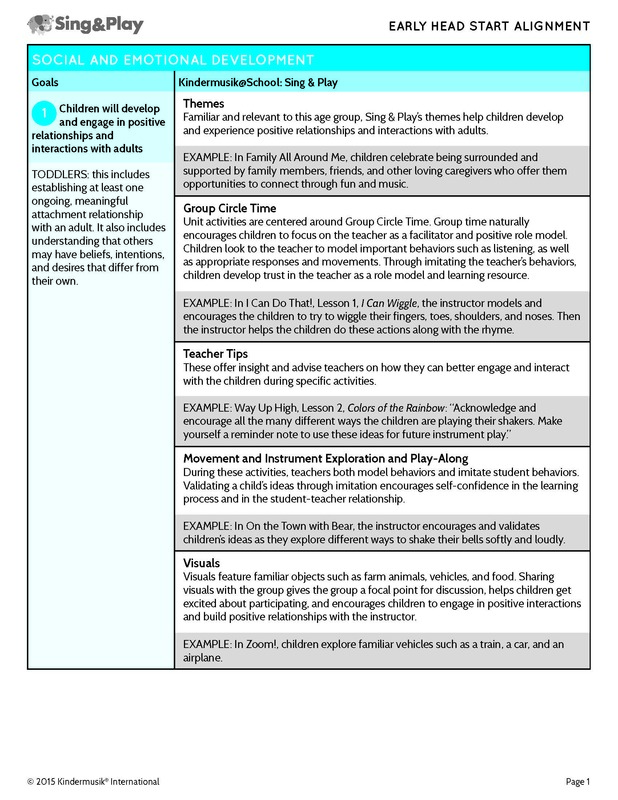 For responsive interactions that stimulate and encourage concept development.